Recently I was going through some old journals looking for something and came across the description of a dream I had eight years ago. I was standing at the feet of a gigantic pyramid with one of my grandmothers. It was surrounded by a soft pink light, and I had a keen sense that we were in the middle of the jungle although I can’t really pinpoint why. And so we confidently began the ascent, which didn’t last long, because in typical dream fashion we suddenly reached a tiny courtyard. As we approached the entrance dozens of fluffy bunny rabbits hopped towards us. The last thing I remember is cuddling two of them in my arms. I still find myself wondering if that majestic pyramid actually exists. Is it real? Is it hidden somewhere in the jungle waiting to be discovered, a cliche straight out of an Indiana Jones movie? Perhaps. I’ll admit the possibilities excite me. 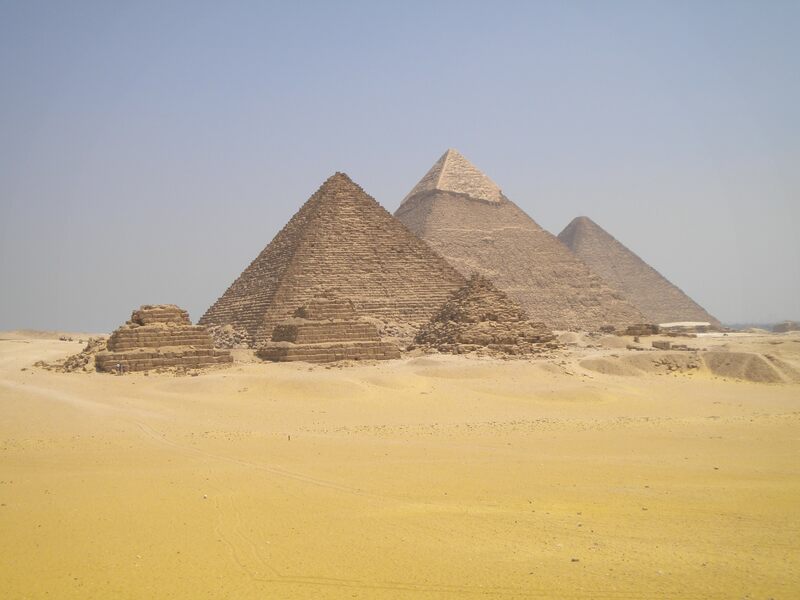 On the other hand, what if the pyramid is an archetype, a symbol for life itself? Either way, it’s comforting to know that no matter what paths we choose to take, there will be those who have walked many miles before us, who are willing to love and guide our very heart and soul towards the fulfillment of our dreams, one step at a time.